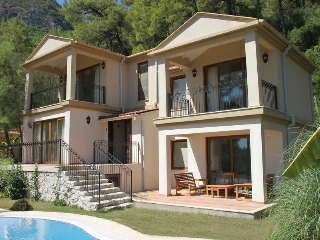 Built in 2011, this is a charming and elegant complex of 10 villas with their own pools. 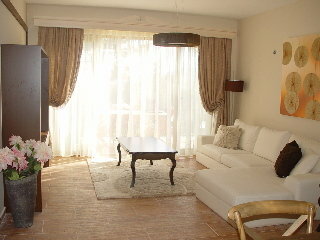 Decorated and furnished in a modern, elegant style, amenities include a restaurant, bar, cafe and a lobby area. 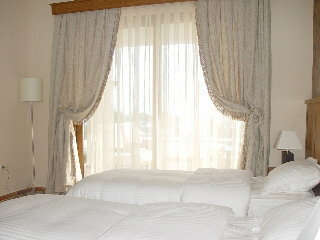 Room and laundry services are available at an extra charge. Further facilities include a hotel safe for valuables, currency exchange facilities and a car park. LocationLocated approximately 2 km from the small beach resort of Turunc, the complex is set on a hillside with spectacular panoramic views of the Mediterranean and Turunc below. 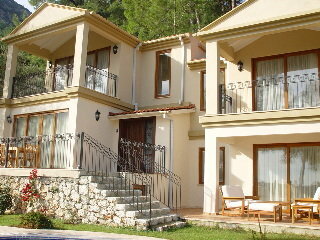 The busy, larger resort of Marmaris with its many nightlife options is 20 km away. Guests will find numerous shops, restaurants and bars as well as links to the public transport network in the centre of Turunc. The ancient city of Amos is around 3 km from the hotel and Dalaman airport is approximately 110 km away. 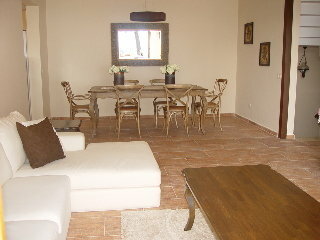 RoomsThe villas are decorated in pale tones and furnished to a high standard with modern amenities to hand. Standard room features include individually regulated air conditioning and heating, an en suite bathroom with a shower room and a spa tub, a double bed and a kitchen with a fridge, microwave and tea and coffee making facilities. Other in-room amenities include an electronic safe, plasma TV, direct dial telephone, washing machine, ironing set and Internet access. 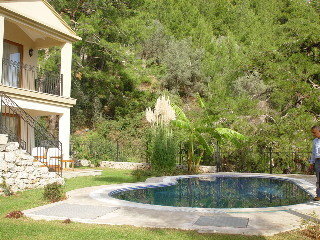 All villas have a private pool and a balcony or terrace. SportThere is an outdoor swimming pool on the premises. Sun loungers and parasols are provided by the pool and can be hired for a fee on the nearby sandy/pebble beach. 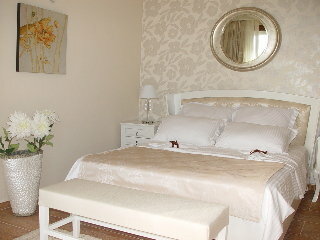 MealsBoard is available on a bed and breakfast basis and lunch and dinner can be taken Ã la carte. PaymentAmerican Express, MasterCard and VISA are accepted as methods of payment.